Canada lends itself well to some ideals of atmospheric black metal. From the snow laden landscapes to the cold temperatures, there is something about the country that can create some stark imagery through music. 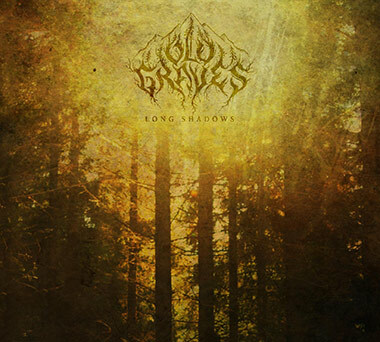 British Columbia one-man band Old Graves has managed to do just that on its first full-length release, Long Shadows. The album has plenty of cold riffs and shrieks to appease fans of the faster parts the genre, but there are also a lot of great melodies weaving their way in and around these seven tracks that really conjure some fantastic landscapes during its run-time. Naturmacht Productions released this album back in July 2016, and a few months later it is still hitting strong. The first track can be a bit deceiving to be honest. “Sumas” focuses on more of the fast and heavier side of the project, while still utilizing a lot of melody, but for the most part being a track that grabs the listener in and keeps the pace up for over its eight minute play time. From there though, there is a bit more variety and some surprises on Long Shadows comparatively. From the short interlude of beautiful guitar work and atmospherics, to the heavier sections and transitions between fast and slow on the remaining tracks, there is something to keep you intrigued about this release. There can be a focus on a riff for one track and then back to an overall picture being painted by the instrumentation on the next track. Colby, the sole member of Old Graves has managed to be able to allow each track to live its own life, while still flowing seamlessly to the track that follows. If anything, the record actually picks up steam as well as it goes on, and sadly the opener end up being almost lost in the shuffle compared to the lasting impression some of the later songs are able to provide. That is not to say however that this release should always be looked at as individual tracks. There is a clear sense of thematics at play here, with each song being just as important to the overall picture as the last. Again, the seamless transition from track to track emphasize this quite well, but the overall tone of feeling of the songs also give the impression that this is to be taken as one larger piece and not seven single parts. The musicianship itself is wonderful, but there are definitely moments in “Slave To The Boiler That Heats The Baths” that recalls some Agalloch influence, and sounds as i it could have been taken from the bands earlier works. Nothing comes across as a rip-off by any means, but more paying tribute to some artists that had come before, and using certain tones or notes here and there to give them new life and a new context. The only real downside is possibly in the vocal (and really the mixing) department on the album. The vocals are far too low at times, to where they can be nearly inaudible. At times this actually adds more atmosphere to the record, and can be a nice addition to the layers of guitars and synth work, but at other times, the vocals sound like an extra instrument not quite being recorded well and coming in at random times and sort of takes away from some of the vibe that is going on. Vocally, Long Shadows seems to be a a little hit or miss honestly, and most of the time works fairly well, but on a few occasions just seems to lessen some of the impact of the songs. Regardless of some minor issues though in one aspect of the release, Long Shadows is a quite commendable release. There is some really powerful stuff being given to us, from the beautiful to the cathartic. Colby has done a wonderful job of being able to take the coldness of his home country and put it on an album, with a finished product that may not scream wholly original, but certainly enjoyable as hell. Its hard to really ever fault an act for not being too “unique” given just how much music there is in the scene, and all that matters is the quality of what’s bing produced. In the case of Old Graves, that quality is damn high and is there for plenty to enjoy. 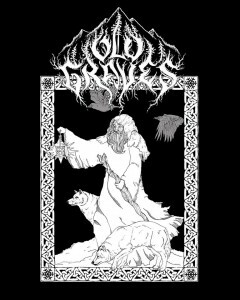 This entry was posted in Bands, Black Metal, Progressive Metal, Reviews and tagged A Diadem Of Dead Stars, Agalloch, Alda, Ash Borer, atmospheric black metal, black metal, canada, Fen, folk, Naturmacht Productions, Skagos, Twilight Fauna, ulver, Weakling, Winterfylleth, Wolves in the Throne Room.